Toyota is all set to unveil the Alphard MPV at the 2018 Indian Auto Expo. A larger, much more luxurious and expensive alternative to the best-selling Innova Crysta, the Alphard will be Toyota’s premium MPV. It’ll be aimed at people looking for a high-end people mover. Cab operators will be the prime target of the Alphard. The MPV is expected to be imported through the completely knocked down (CKD) kit route into India. This should make it quite pricey. Expect a starting price of about Rs. 50 lakhs for the new MPV, which makes it even pricier than the Fortuner. For this kind of money though, the Alphard will offer up to 8 seats and a petrol hybrid engine, borrowed from the Camry Hybrid. The MPV gets a 2.5 liter petrol engine running on the Atkinson’s cycle, and a electric motor making up the hybrid unit. This combination gives the Alphard about 202 Bhp of peak power, which is more than sufficient for decent performance. The key selling points of this MPV will be the refinement it offers, and the high levels of comfort and luxury. In terms of fit and finish, expect top-notch quality. In the past, Toyota has considered selling high-end passenger carriers in India. The Hiace passenger van is one such example. While the Hiace was to be imported into India as a CBU and a high price tag was a given, CKD assembly should do its bit to make the Alphard relatively more affordable. 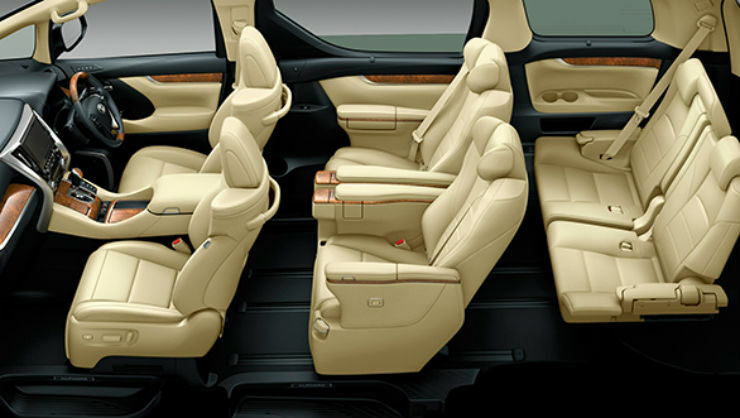 The Alphard is a much more modern vehicle than the Hiace though it doesn’t have a diesel engine option. It will be interesting to see how India reacts to the new MPV, especially since more than 70 % of MPV sales come from diesel powered vehicles. The only other hybrid MPV in India is the Maruti Ertiga, but it’s a diesel-mild hybrid.